If you need a commercial insulation installer for your project in Montgomery, Alabama, or a surrounding area, it is important to choose professionals with a reputation for performing high-quality work and using top-notch products. With Arango Insulation, you’ll find a reliable partner that goes above and beyond to ensure every aspect of your project is performed with expert precision. We only use insulating materials from top brands, such as Icynene, Johns Manville, and Guardian, so you can be sure they are of the highest quality. Plus, you can feel completely confident that your insulation will be properly installed because we only employ highly qualified technicians who have years of industry experience. 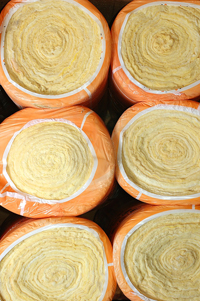 In addition to having a wide variety of insulating materials available, we offer exceptionally fast turnaround times. More often than not, we can be at your jobsite within 24 hours of being contracted. Our wide selection of insulating products and fantastic workmanship has earned us an A+ rating with the Better Business Bureau. So if you need speedy service from an experienced contractor serving Montgomery, AL, or any surrounding area, contact Arango Insulation today.